During the weekends we enjoy getting our two grandchildren and taking them with us for fun day trips across the great state of Pennsylvania. When looking for things to do, we look for activities that are educational, affordable and of course...fun to do! 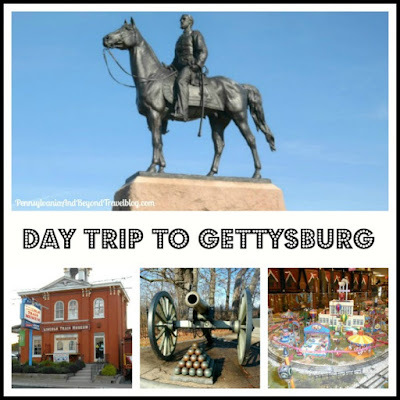 A few weeks ago we headed down to historic Gettysburg in Pennsylvania for a fun day trip. Luckily for us, it's only a one hour drive from our home and the kids don't mind the short commute. We arrived in Gettysburg around 10:00 AM and here's how we spent our day. Soldier's National Cemetery - If you've never visited Soldier's National Cemetery...you really should! There is nearby (free and paid-metered parking) and admission into the cemetery is completely free. You can tour the cemetery by yourself or you can sign up for a guided tour with one of the park's rangers. It's open year-round to visitors. We recommend that you wear comfortable walking shoes and dress appropriately for the season. You will be doing a lot of walking through the cemetery. You'll see all kinds of different Civil War monuments, historical markers and you'll even see the place where President Lincoln gave his famous Gettysburg Address. We spent 1 hour and 15 minutes visiting here. Lincoln Train Museum - The Lincoln Train Museum is right down the street, so that's where we headed next. You'll have to pay an admission fee to enter, but there is FREE parking nearby. Once you enter, you'll watch a presentation, receive a tour, see all of the miniature trains in action and you can sit in a train car simulator to learn more about the death & funeral of our beloved president and his son. We found the Lincoln Train Museum to be a very interesting place and it's definitely kid-friendly. There are hands-on activities for the entire family to participate in and enjoy. After your done in the museum, you can do a little souvenir shopping in their on-site gift shop. We spent 1 hour and 20 minutes visiting here. Lunch Break: I packed brown bag lunches for the entire family and we enjoyed them while sitting at the entrance to our next activity. Gettysburg National Military Park - We obtained a map of the Gettysburg National Military Park and did our own self-guided tour through the park. There are places that you drive through/by to see some of the monuments and there are areas where you'll get out and park to walk. If you have little one's along with you and plan on walking, you may want to bring along a stroller. During the driving tour you'll see hundreds of different Civil War monuments, historical markers and all kinds of different things. My husband and older grandchild climbed up all of the stairs in the observation tower and got great views of the battlefield. There are plenty of places along the way to get out of the car, walk around, sit at picnic tables, etc. We spent 2 hours and 15 minutes visiting here. With that said, we did take our time and allow the kids to run & play along the way. Dinner: We finished up our day by heading to O'Rorke's Family Eatery on Steinwehr Avenue. If the weather is nice outside, you can choose to dine outside or dine-in. They offer great service, a vast menu of lunch & dinner items and every time we've eaten here, our food has been good. It was nice to sit down as a family and enjoy a nice meal together. We had a great time taking our grandchildren down to historic Gettysburg in Pennsylvania for a fun family day trip! There are a lot of great activities for your entire family to enjoy and they don't have to cost you a fortune. Furthermore, Gettysburg offers such a unique opportunity to teach your children & grandchildren about the Civil War history of our country in a way that they just can't learn for history books! 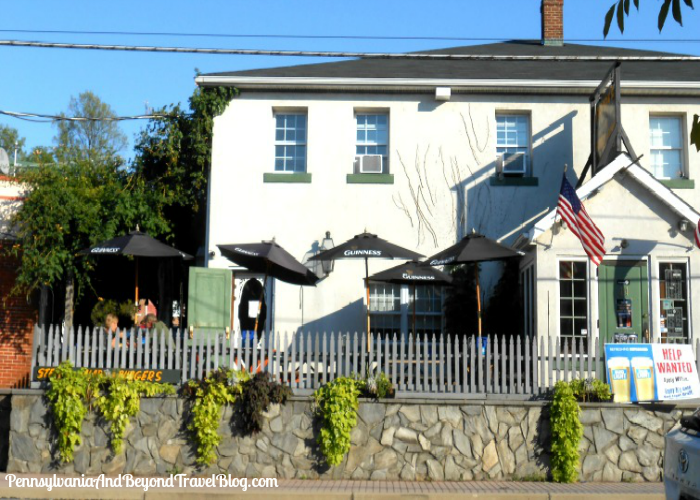 As I have already noticed because you have posted so often about Gettysburg it would be a great family destination. There is so much to see and the Lincoln Train Museum would be enjoyed by young and old alike.